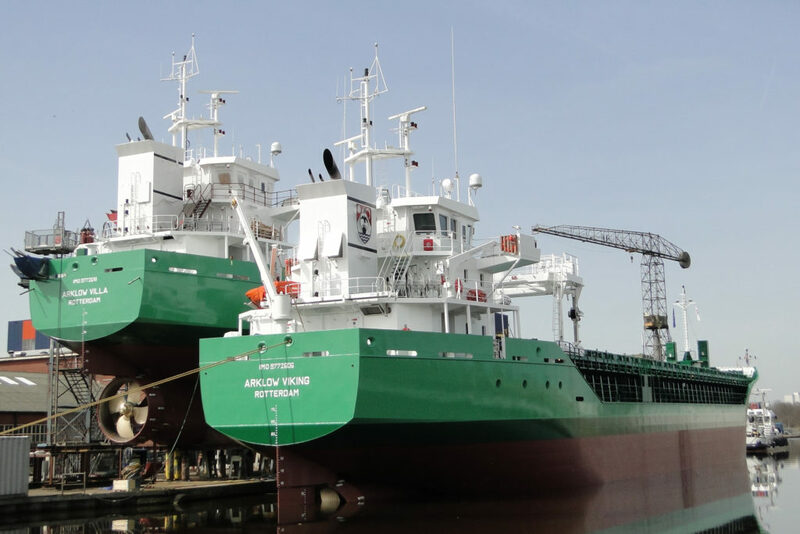 SARC has successfully delivered the on-board loading computer software for the new cargo vessel Arklow Villa (YN 730). This is the last ship in a series of ten 5,150 DWT traders that SARC has fitted out at Royal Bodewes Shipyard to Bureau Veritas class standards. They are all owned by Arklow Shipping and are being operated and managed by Arklow Shipping Netherlands. The first vessel in the series was be delivered in October 2015. This is not for the first time that Bodewes has ordered the on-board loading computer at SARC. Other recent projects like the NB 803 Coralius; a unique LNG flex tanker that was nominated for the Next Generation Ship Award at Norshipping 2015 is also equipped with LOCOPIAS. At Bodewes they are using our PIAS software to calculate the stability of their vessels. The advantage of this is that SARC can use their PIAS-files for the base of LOCOPIAS, so there is no extra costs for input of ship data and the same files are used for the stability booklets. The launch of the Arklow Villa has been filmed and uploaded to YouTube. The stability required to ensure the safety of a ship, its crew and the environment is laid down in legislation. In PIAS the major part of legislation is predefined, readily available, while the underlying parametric editor facilities allows the definition of less frequently used or very specific criteria. More information about manipulating and selecting sets of stability cirteria can be found in the manual: https://www.sarc.nl/images/manuals/pias/htmlEN/stabcrit.html. We have created a document to provide a coherent and clear overview of the stability criteria. This is achieved by collecting legislations set by the IMO, European Union and local authorities, and categorizes these legislations by operating area and ship type. Please send us a message if you are interested in this document including the .req files for PIAS. Earlier this year we have informed you about the update of the stability criteria within PIAS: https://www.sarc.nl/update-of-stability-criteria-in-pias/ . 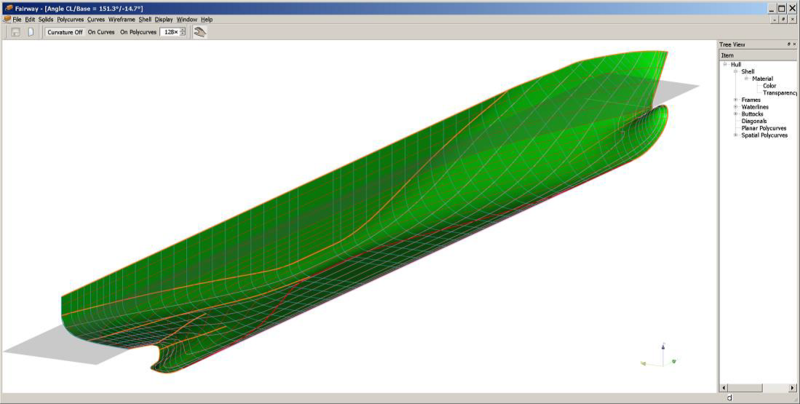 Although the NURBS surface method is not very suitable for the hull design process as such, it is widely used for interfacing. So, when a hull design is to be used downstream, e.g. for engineering, CFD analyses or visualization, the Fairway hullform has to be converted to a set of NURBS surfaces. The first step is identifying larger, four-sided areas, which is essential because its four-sidedness is an intrinsic requirement of the NURBS. The next step is to convert these surfaces to NURBS. In this paper the mathematical nitty-gritty will be omitted, the interested reader is redirected to a special conference paper on this subject. Guaranteed gap-free along common boundaries between adjacent surfaces. The number of vertices of the resulting NURBS surfaces is determined automatically, and is the minimal required to achieve this gap-freeness, as well as accurate representation of the original Fairway surface. This method is baptized LEANURBS (an acronym for Lowest Effective Amount of NURBS). 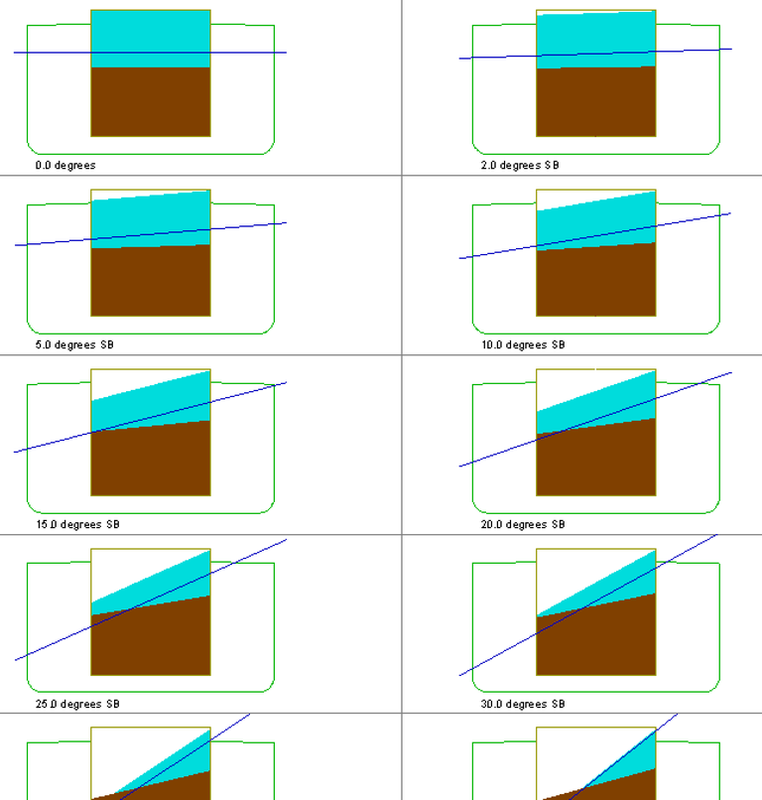 Its implementation in Fairway is demonstrated by the following sequence of screen dumps, from which the first shows the ship hull in Fairway. The second is a screen dump where the hull is subdivided into four-sided regions and the last one is the IGES file in Rhino. 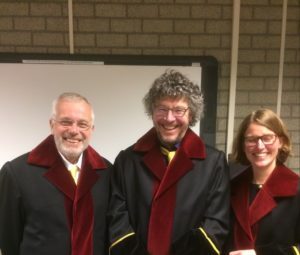 Herbert Koelman, who founded SARC in 1980, has recently been appointed as Lector Maritime Innovative Technologies at the Maritime Institute Willem Barentsz (MIWB). 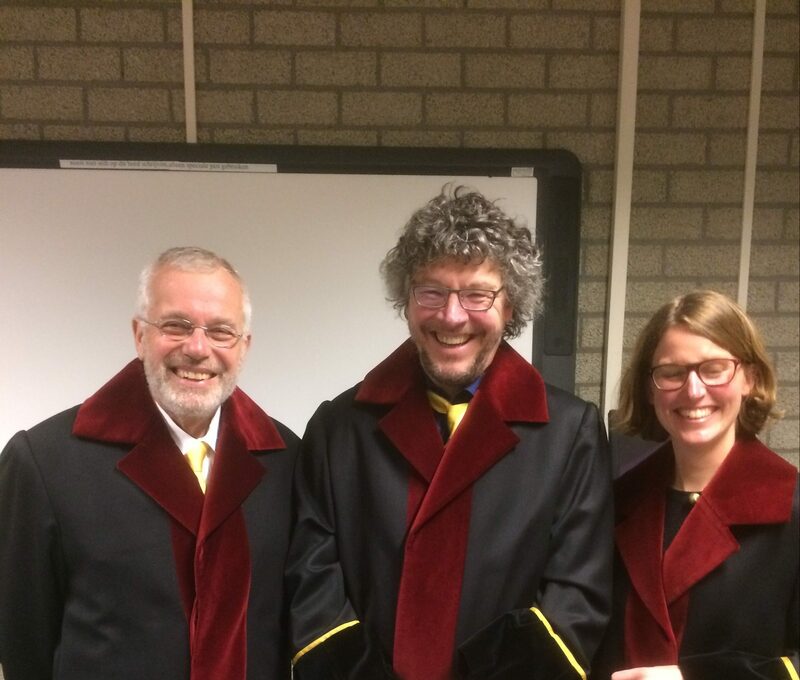 The function of a Lector is initiating and managing applied research, as well as supporting education. This appointment is for two days a week, the other three days Koelman will remain at SARC, in software development and general management. MIWB is an academy within NHL Stenden University of Applied Sciences, and offers BSc and MSc educations in the design and operations of ships. The research objectives of the Maritime Innovative Technologies research group are in the field of innovation in the field of maritime operations, design and production, and in particular the relationship between these three. One of the first projects envisaged will be to convert measured operational (big) data into design tools for ship design. For more information on this subject you can contact Herbert.Koelman@NHL.nl. From January 2018 the new 38th amendment of the IMDG Code will become mandatory and to invigorate this an IMDG module has been added to LOCOPIAS. IMDG (International Maritime Dangerous Goods) Code is accepted as an international guideline to the safe maritime transportation or shipment of dangerous goods or hazardous materials. This (mandatory) Code has been designed to protect crew members and to prevent marine pollution. The IMDG code extension in the LOCOPIAS container module assists in the loading of dangerous cargo by real time validation against the IMDG requirements. It presents the operator an overview of conflicts in segregation and stowage requirements. Current implemented version is amendment 38-16 (the most recent version of the code). The complete white paper can be found here. 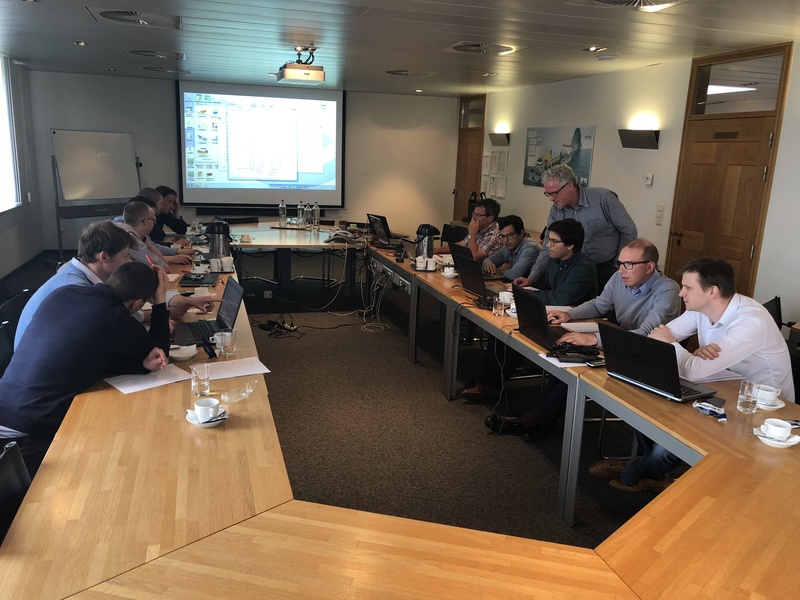 Last week our colleagues provided a probabilistic damage stability training in Aalst, Belgium, the home base of Jan de Nul, a leading and maritime construction company. To know more about the trainings we provide, please check the ‘Training’ page. This manual is intended to explain how to verify the Loading Computer System (LCS). The LCS, in this case LOCOPIAS, must be verified at regular intervals to check the correct functioning of the loading instrument. EBIS is asking for a Class approved ship stability calculation program for on-board use and there muest be records indicating that the operational accuracy of the ships stability calculation program is tested regularly. The manual is in English and Dutch. Already for some decades, PIAS has the capability to compute intact and damage stability for open-top hopper vessels, e.g. as required by the dr-67 & dr-68 regulations for hopper dredgers with a reduced freeboard. This function, which was available in a separate PIAS module, has recently be integrated in PIAS’ standard stability module, called Loading. 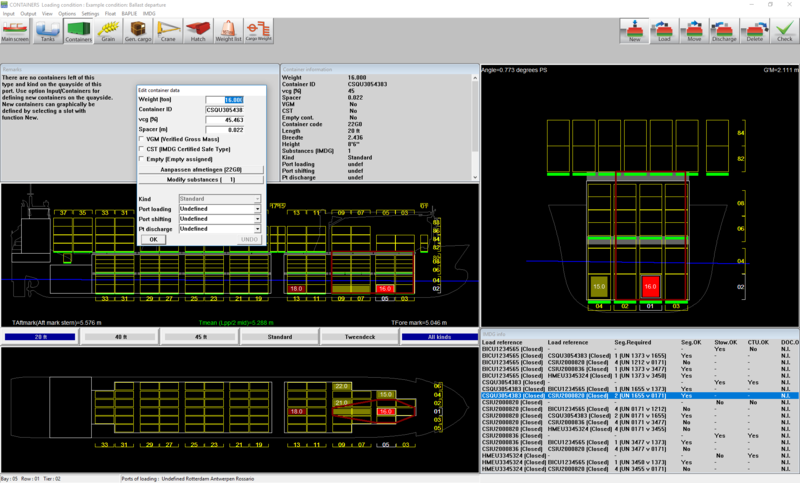 With this enhancement the hopper stability computations can now be combined with all Loading’s tools and options, and is now also available for the LOCOPIAS on-board loading software. More details of the new modus operandi can be found in the manual. SARC is pleased to announce the extension of LR (Lloyd’s Register) Type Approval for their LOCOPIAS on-board loading computer software. This approval certifies LOCOPIAS products for use in LR class ships in the (damage) stability and longitudinal strength of the vessel. LOCOPIAS is on-board loading computer software. Derived from the PIAS ship design software, it uses the same proven technology to achieve optimum loading within the limits for strength, stability, draft, etc. This ensures maximum safety of the vessel, it’s crew, cargo or passengers and the environment. The certificate can be found here.